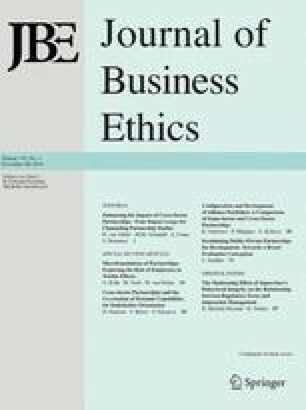 The paper describes and discusses unethical behavior in organizations, as a result of (interacting) disputable leadership and ethical climate. This paper presents and analyzes the well-known bond trading scandal at Salomon Brother to demonstrate the development of an unethical organizational culture under the leadership of John Gutfreund. The paper argues that leaders shape and reinforce an ethical or unethical organizational climate by what they pay attention to, how they react to crises, how they behave, how they allocate rewards, and how they hire and fire individuals. 1.Graduate School of BusinessCollege of William and MaryWilliamsburgU.S.A.